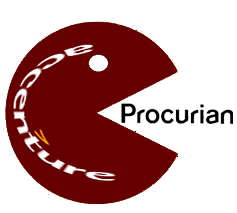 After the October 3rd announcement that Accenture was acquiring Procurian, I’ve had some time to consider the implications for the supply chain industry as a whole. Will the merging of these two giants really change the industry in any discernible way? While there is now a bigger, and more distinct, dividing line between small and large firms, no one really knows how this is going to play out. But if there is one thing I can say: the acquisition is certainly confirmation that the industry is hot. 1.) What will happen to Procurian’s Bravo toolset? Procurian is one of Bravo Solution’s customers. Will Accenture adopt Procurian’s tools, and therefore Bravo’s, as their own or will Accenture build a custom solution? Will they continue to use pieces of Ariba’s software? Afterall, they did acquire the Ariba BPO team not too long ago. Seeing the capabilities of the Bravo toolset, for specific categories at least, I think in the short-term this relationship should be safe. 2.) What will happen to Procurian’s CapGemini and Genpact’s partnerships? In the past, Procurian has partnered with these two large firms to provide specialized, deeper procurement knowledge and BPO solutions on certain projects. Presumably, these partnerships will end with the acquisition, or at least may be rocky. Where will CapGemini and Genpact turn? What will happen to their existing clients and agreements with Procurian? 3.) Will Procurian lose customers (in the beggining)? Some companies prefer to work with smaller more nimble solution firms, like Source One. Others want a larger player, but aren’t comfortable with the traditional giants like IBM and Accenture. Procurian offered a great stop-gap between those two mindsets. Will companies that consciously stayed away from those consulting giants be disappointed that they are now in the hands of a large firm. Will Accenture be able to keep the Procurian customer base happy? I recently attended a conference with over one hundred procurement managers and was surprised at just how many people told me that their companies are already evaluating the acquisition news carefully. 4.) Can Accenture move more easily into the midmarket? This goes hand-in-hand with question three above. Accenture’s clients are traditionally Fortune 1000 companies and they don’t frequently pop-up as a competitor in smaller mid-market deals. On the surface, they traditionally have had some difficultly providing a measurable ROI for some of their services as compared to some of the smaller, more flexible providers. Will the Procurian relationship help Accenture expand its reach into those companies that were off-put by a larger firm? It’s a virtual guarantee that the new Accenture will have one of the most comprehensive full-line suite of procurement-related BPO solutions. They’ll be able to now supplement their sourcing and supplier management consulting services with the transactional purchasing and procurement. The question really becomes, are companies willing to buy it?